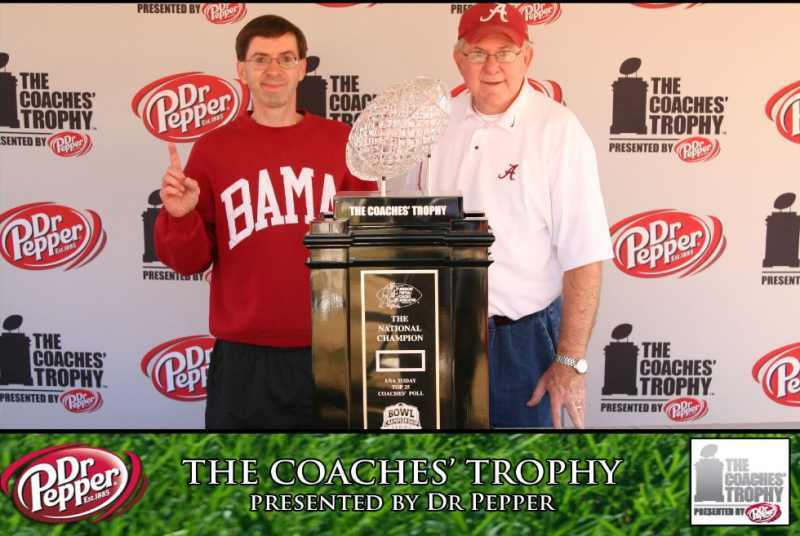 David Tillery, of Sand Rock, Alabama is well known by many to be the most fanatical Alabama fan ever. In fact, he was the first person to meet Nick Saban in his inaugural fan day. Read about it here. He was in Pasadena and had the chance to meet the BCS Championship trophy before it was awarded to the team. His undying love for Bama was summerized in this statement, "The Lord really blessed me with one of the most awesome experiences of my life!" In the picture, also, is his father. ALABAMA IS THE GREATEST.I AM A DIE HARD BAMA FAN.